Mutual funds are popular with investors because they offer diversification, liquidity and professional money management in a convenient vehicle. However, mutual fund investors will get a tax bill for the dividends, interest, and any capital gains that they receive each year. Fortunately, there are several things you can do to lower the numbers you see on your 1099 forms that your funds send you. Knowing how the tax rules work for investments can greatly aid you in reducing the bill you get from Uncle Sam. Mutual funds distribute all of the capital gains that they accumulate each year in November to all of their current shareholders. Fund investors who buy funds during that month will therefore receive a tax bill for a year’s worth of realized gains without ever having realized them themselves. Wait until after the fund distributes the gains and buy in at that point. Mutual funds that are placed inside IRAs and other tax-deferred retirement plans will not generate taxable income unless you take a distribution from the account. A Roth account allows them to grow tax-free, so you will never pay tax on any income they generate for you in retirement even when you take a distribution. 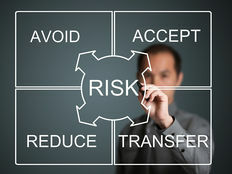 Unfortunately, if you own funds in a taxable account and want to move them into an IRA, you will have to sell them, use the proceeds to make a cash contribution into the fund and then buy them back, which may generate a taxable capital gain for you if the fund share price has increased. Nevertheless, this strategy can be especially effective if you own funds that generate a lot of current income such as bond funds or funds that pay dividends. Some mutual funds are designed specifically to generate little or no taxable income. Funds that have a low turnover rate will post fewer capital gains. For example, the Eaton Vance Tax-Managed Growth Fund is engineered to profit from rising prices in blue-chip stocks with little or no taxable gains distributions for the year. 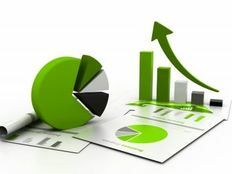 If you own a mutual fund in a taxable account that has declined substantially in price, you can sell the fund and then buy it back in order to generate a capital loss. However, you will have to wait for 31 days before you can buy it back in order for the loss to be reportable, due to the IRS wash sale rule. You can also do the same thing with stocks or other securities that you own if necessary; the IRS does not distinguish between gains and losses generated by different types of publicly traded securities. If you own a fund that is generating substantial capital gains, then you could sell a stock that has declined in price, wait 31 days to buy it back and then write the realized loss off against the gains from the funds when you file. Just be aware that whatever you sell with the intention of buying back may rise in price during the waiting period. First In First Out (FIFO), where the first equal number of shares that were purchased will determine the gain or loss on the number of shares sold. Last In First Out (LIFO), where the most recent equal group of shares purchased is used. This method will quite often result in the smallest possible gain and may be the best option if you want to report the smallest possible gain for the year. Dollar Value LIFO, where the last equal dollar amount that you purchased is matched against the dollar amount you sold. Average Cost, that uses a mathematical average of all of your purchase prices. This can sometimes be the only choice if you don’t have complete basis records. Specific ID, where a specific block of an equal number of shares is used to compute basis for a sale. This may be preferable to LIFO if there is a block of shares with a higher cost basis than the LIFO shares have. It is not always easy to determine which method of accounting is best, but the key is to keep good records right from the beginning. This will give you more options to choose from when you choose your accounting method. And don’t hesitate to consult with a tax advisor if you need help; this can be a tricky endeavor in many cases. 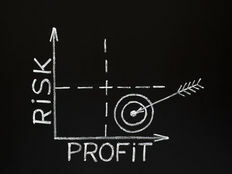 Building upon the last point, any dividends that you used to purchase more shares have become part of your cost basis. Don’t forget to add these in, because they can substantially reduce your reportable gain if you reinvested them for a long period of time before you sold. This is another reason why you always need to keep complete records of all of your fund activities, so that you don’t miss any periods of time where dividends were reinvested. The IRS considers the exchange of one mutual fund for another as a taxable sale and a purchase that requires a recorded cost basis. Moving money from one fund to another can therefore result in an unintended capital gain in a retail account. There are many ways that you can reduce the amount of taxable income from your funds. Using these tips can allow you to minimize your tax bill and get more out of your money over time.